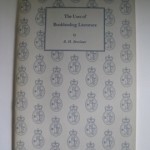 Posted in Bookbinding & Bookbinders, Materials. Full title: Production Guides 1 to 4 – 1. – Gold Leaf; 2. Real Gold Foil; 3. Gold Blocking; 4. Aluminium Stamping Foils. 240 x 180mm. 8p single section booklets. Illust. mono. photographic plates. 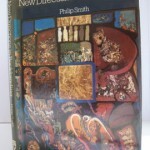 Colour printed covers. 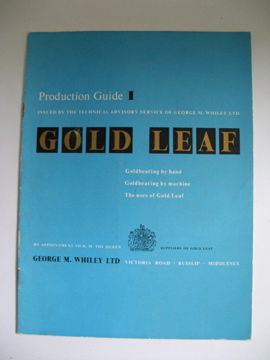 A complete set of 4 Guides issued by the Technical Advisory service of George Whiley explaining the manufacturing processes of gold-beating by hand, and others. Includes details of the comapany’s research and design work. Minor edge wear only. Sold as a set. 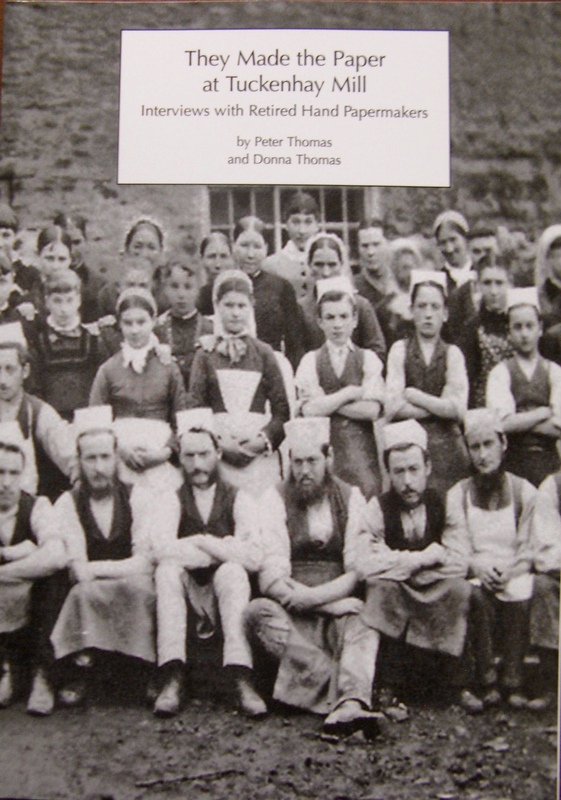 The book begins with a short history of Tuckenhay Mill and the story about meeting the papermakers and recording their interviews. This is followed by eight interviews of men and women, some of whom worked in the Mill from between the World Wars until it closed in 1970.